The first razor clam digs of the fall season are planned for mid-October on Washington ocean beaches. Releasing the tentative schedule earlier than usual this year allows people plenty of time to make plans to go digging this fall, according to managers from the Washington Dept. of Fish and Wildlife. It also gives you extra time to secure the best rooms and fall rates at The Polynesian Resort. WDFW typically confirms that the dig will go forward about a week before the opening, based on final marine toxin tests. Last year, the start of the season was delayed due to elevated levels of domoic acid, a natural toxin produced by certain types of marine algae. Recent testing indicates current levels are well within public health standards. If you have never gone clam digging, here’s what you need to know. Under state law, diggers are required to keep the first 15 clams they dig. Each digger’s clams must be kept in a separate container. All diggers age 15 or older must have an applicable 2016-17 fishing license to harvest razor clams on any beach. 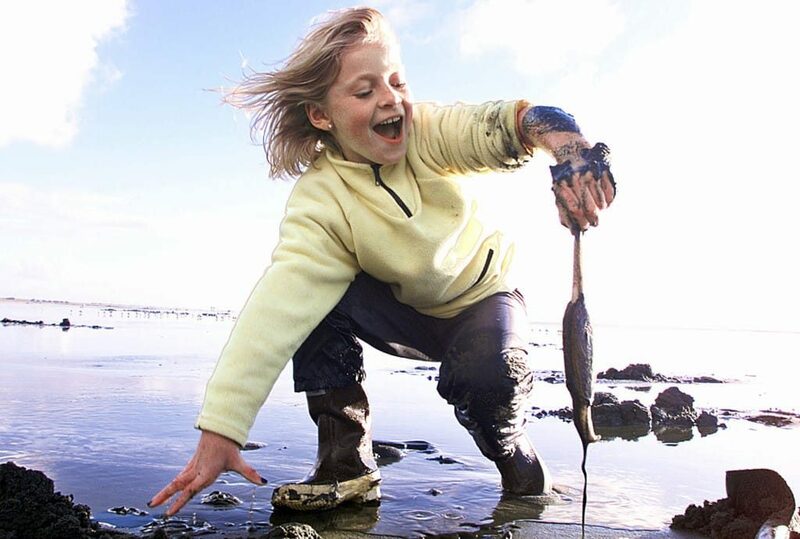 Licenses, ranging from a three-day razor clam license to an annual combination fishing license, are available from license vendors around the state and WDFW’s licensing customer service number at (360) 902-2464. Sure, the end of summer can be a disappointment for some, but for others, it provides a new reason to visit Ocean Shores. What’s not to love about quiet time on the majestic Washington coast? Stay 3 or more nights and save 25% off. These discounts are only available by calling 1-800-562-4836. Discounts are valid now through October 27, 2016. Discounts apply to standard published rates and cannot be combined with other discounts, promotions or group bookings. You’ll find more amenities at The Polynesian Resort than any other hotel in Ocean Shores, including a sparkling-clear indoor heated pool, indoor spa and sauna, game room and private park. And, there are plenty of trails through the oceanfront sand dunes to the six miles of Ocean Shores’ expansive beach. So, get out your calendar and ink a few days to unwind at The Polynesian Resort in Ocean Shores. What is your Ocean Shores summer tradition? 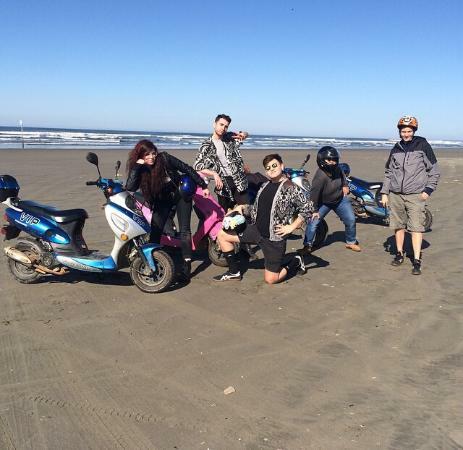 Riding mopeds on the sand is a summer tradition for many Ocean Shores visitors! A tradition is based on passing on a custom from generation to generation. And, many visitors to Ocean Shores have their own traditions that make their summer vacations complete. There are always one or two things you have to do to during your stay. It could be bobbing along the beach on a Moped. Or a round of putt-putt golf and a go-kart ride. Or enjoying an ice cream cone as you wander around town. Traditions are often based in fond-memories of good times. What are your Ocean Shores summer traditions? Motorcycle enthusiasts will be rolling into Ocean Shores the weekend of July 29-31 for the annual Bikers at the Beach annual summer rally. Ocean Shores, tucked along the central Washington coast, is the perfect destination for people who like to ride. And, with the only apartment-style accommodations in the popular beach town, The Polynesian is the ideal place to stay. Held at the Ocean Shore Convention Center, daytime activities include a huge bike show, vendors, charity events and friendly competitions, followed by rocking Friday and Saturday night parties. The Friday night’s concert features The Heartbreakers, a Led Zeppelin Tribute Bank. Saturday night’s party starts with Jawbone, featuring members of the original band, Redbone, followed by Revisit Steppenwolf, The Born to Be Wild Tour. For more details about all of the three days events, check out www.bikersatthebeach.com. People are encouraged to purchase wristbands in advance that will provide access and preferred bike parking. Gold Level tickets are $20 in advance, $25 on site. Platinum tickets are $40 in advance, $50 on site, and include access to both night’s concerts. Ocean Shores Beach Blast: Get in the Games! Summer 2016 marks the debut of the Ocean Shores Beach Blast, three weekends of family-friendly competitions and more. It starts with vendors, music and food at the convention center, during each of the first three weekend in July. The competitive events follow over the next two weekends. The weekend of July 9-10 will be highlighted by The Fourth Hangover, Ultimate Disc. 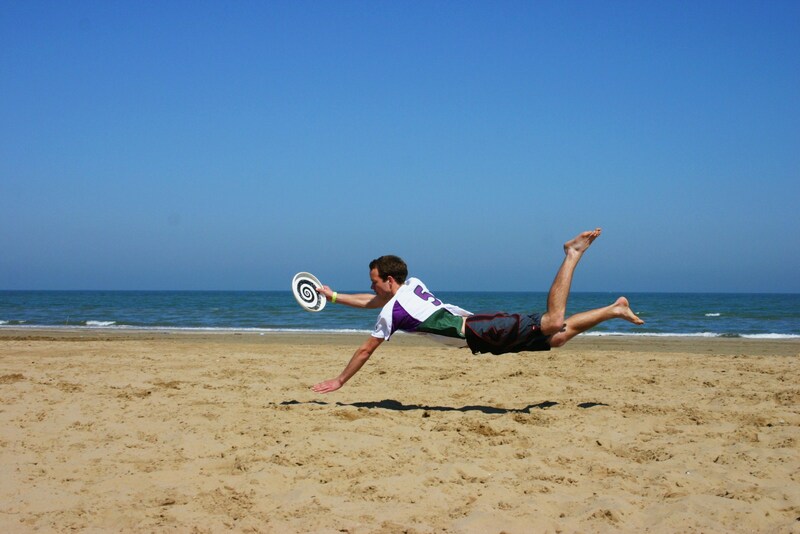 For those who haven’t played, Beach Ultimate is five-person team sport played with a flying disc. It is played in the sand, in an area about half the width of a football field, with an end zone at each end. The object of each team is to score a goal by having a player catch a pass in the end zone that they are attacking. A huge Beach Volleyball Tournament will be held on July 16-17. Registration is open to teams of 2 and 4 players; Men, Women, and Co-ed in Adult and Youth Divisions. The amateur and open divisions will compete in age groups of U-12; U-14, U-16, U-18 and Adult. All the rules and registration information can be found on the Beach Blast Web Site. Sounds like fun and another great reason to book a stay at The Polynesian Resort, Ocean Shores’ favorite hotel! Father’s Day: Spend time with dad. Father’s Day was established to honor all fathers, grandfathers, and father figures who have influenced your life. Father’s Day is regularly observed on the third Sunday of June. This year, it’s June 19, just about three weeks out. Sure, you can send a card, buy him tools, gadgets or a new polo shirt, but you know that dad really wants is to spend time with you. Why not surprise him with a trip to Ocean Shores and a stay in an ocean front room at The Polynesian? Reserve your room today, or order gift certificates for a future stay. Despite several initiatives, including merchant-driven efforts that were greeted with some cynicism, it took several decades for Father’s Day to be fully recognized. President Lyndon B. Johnson issued the first presidential proclamation honoring fathers, in 1966, designating the third Sunday in June as Father’s Day. Six years later, the day was made a permanent national holiday when President Richard Nixon signed it into law in 1972. History aside, father’s are critical and spending time with the men in your life who matter is a great tradition to uphold. The forecast calls for fun in Ocean Shores for Memorial Day weekend! Morning clouds are expected to burn off, with bright, afternoon highs in the 60’s. That’s perfect for strolling, playing in the sand, hiking, biking, evening beach bonfires and just hanging out. With spacious ocean front suites and rooms, The Polynesian provides the only apartment-style lodging, offering full kitchens and plenty of room for you and your family and friends to relax over the three-day weekend. Just a few rooms are available. 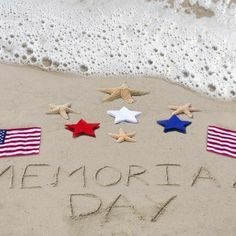 It’s not too late to make plans for Memorial Day fun! Or to reserve your favorite ocean-view room for summer fun! If you haven’t made plans yet, this will be a great weekend to celebrate Mother’s Day at The Polynesian Resort in Ocean Shores. 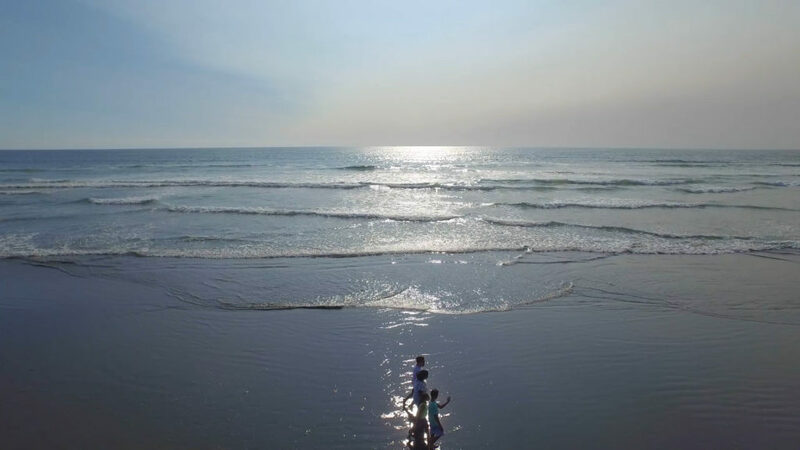 First of all, the weather calls for sunny, and dry days, perfect for enjoying the miles of beaches just over the dunes from the Poly, the only apartment-style lodging in Ocean Shores. When you make room reservations, be sure to include reservations for Sunday’s Mother Day’s brunch at Mariah’s Restaurant onsite. An annual tradition, the special brunch menu features mouthwatering specials like eggs Benedict, honey- baked hams, fresh pastries and fruit. Other weekend events include the 9th annual Youth Fishing Derby on Saturday and a Shoppin’ at the Shore Festival on both Saturday and Sunday. Registration for the Youth Fishing Derby on Duck Lake starts at 7am at the North Bay Park on Saturday, May 7. Kids 17 and under can compete, trying to lure trout from the recently stocked lake. The free event runs from 8am to 1pm, with opportunities to fish from several boats, docks or off the banks. Prizes will be awarded for the biggest fish caught. There will also be a kiddie fishing area up for youngest fishermen and women. The event is sponsored by the Elks Club. Both Saturday and Sunday, you can wander through the Shoppin’ at the Shore Festival at the Ocean Shores Convention Center. Over 70 vendors will be on site, offering a variety of goods to browse. Of course, check with your mom! She might prefer some downtime in an ocean view room or time in the Poly’s sparkling indoor pool and spa. 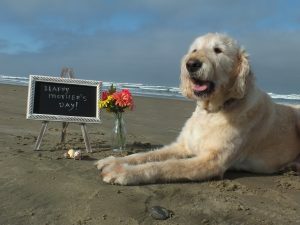 There’s lots of ways to make a Mother’s Day memory with your mom and family at The Polynesian in Ocean Shores! Call today to reserve your favorite room. Or, if you can’t get away, you can purchase gift certificates for another time! State shellfish managers just announced two additional days of razor clam digging, for Monday and Tuesday, April 25-26. Lucky for guests of The Polynesian Resort, those dates fall during our 50% off room rate promotion. Clam diggers are encouraged to make reservations early. Dan Ayres, WDFW coastal shellfish manager, said the department added the additional days of digging at Copalis, which were not originally included in the list of tentative digs previously announced by the agency. He said, the dig was added after catch estimates indicated that there are still clams available for harvest to allow for two weekday openings at the beach. Ayres recommends that diggers arrive at the beaches an hour or two before low tide for best results. However, digging is not allowed on any beach after noon. It’s another great reason to visit The Polynesian Resort in Ocean Shores! 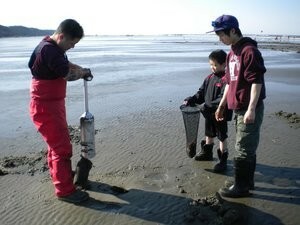 Clam digging a go, Thursday through Saturday! Clam diggers get a thumbs up for three consecutive mornings at Copalis Beach in Ocean Shores, and a bit further north at Mocrops Beach. The three-day dig was announced by Dan Ayers, the Washington Dept. of Fish & Wildlife coastal shellfish manager. The agency approved the digs after marine toxin tests showed the clams on those beaches are safe to eat. More dates are expected to be announced for later in April. The Polynesian is t pefect place to stay, offering the only apartment-style lodging accommodations in Ocean Shores. The affordable, fully- furnished suites provide plenty of room for families and small groups.